YAT RADIO ... Spotlighting THE MAX. Fun and timeless hits. Also hear Poppa Stoppa's favorites and homegrown radio hits on the Original New Orleans Oldies Hour at Noon, 3 pm, 6 pm & 8 pm Central Time daily. Plus - Backseat Memories 9 pm - Midnight. 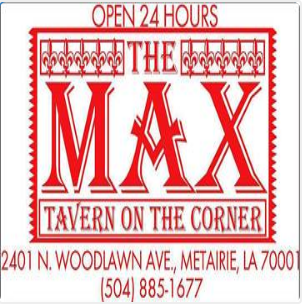 And hear what's happening at THE MAX ... Metairie's hottest Adult dance club.